To the end-user who is mirroring, it just works, but behind the scenes, a lot happens to take that burden from the user. In this document, you’ll find details about how Ditto communicates with our servers (the cloud) and end-users. It’s important to note that any communication happening between the Ditto application and Ditto servers is transmitted using industry-standard SSL practices. There are two main ways users can connect their screens using Ditto. The most common way to use Ditto is by entering a Ditto room code at the Ditto connection website. We also offer an installable version of Ditto that IT departments can mass deploy across their systems. Instructions and data flow for each vary. To being sharing, a user needs to enter the room’s unique Ditto code on the Ditto connection page. When the code is entered, Ditto servers will send down information about the receiver identified with the unique code entered. At no point is identiying information gathered from the user. We use standard web analytics platforms to measure traffic and usage. We cannot identify a user from this information, and we do not share this information with anyone. The page will then display a Launch button. When the user presses launch, the Ditto application is downloaded automatically to their computer. We use standard browser detection to determine what version of the application a user needs (Windows 32-bit, Windows 64-bit or Mac OS X). This application can be downloaded to a temporary, user-specific location, or if using Windows, it can be set to “Run” after download. The operating system detection also allows us to display platform-specific connection instructions to the user. At no point does this process read information from the user’s system that could be used for anything other than what’s stated above. Ditto screen sharing requires a temporary software downloaded to the end-user’s system. Not all operating systems and hardware combinations have components required to share a device screen from a browser or the operating system. The Ditto executable provides these capabilities. The software does not need to be installed. It can be run from a temporary folder without installation. Changes to the system are not required to run the application. The downloaded Ditto application is signed and verified by Apple or Microsoft depending on the user’s operating system. The application is light-weight at a few megabytes, and it does not share end-user data with the Ditto servers. However, the application does provide Ditto servers with updated network information that helps other users connect to the end receiver faster and reliably. This data helps us keep track of network changes that could adversely affect a user’s screen-sharing experience. For example, the Ditto application contains multiple ways to detect and connect to receivers. However, if a piece of this information changes without notice, Ditto users may not be able to connect in the future. By sending updated networking information each time a user connects to a receiver, all methods are kept up to date, and the risk of not being able to connect when needed is drastically decreased. This information is not visible to end-users, though your Ditto account administrator can see this information in the Ditto account portal. Users mirror their screen using the downloaded Ditto application. The application is meant to allow anyone to mirror to a specified receiver. Users can NOT mirror to other receivers that may exist on the network. It is important to know that screen sharing is a point-to-point process. That means when a user is sharing their screen, that data NEVER crosses off of the local network. It NEVER goes across the internet or is sent to Ditto servers. It is sent directly to the receiver across the local network. When mirroring, the video stream will be sent over AirPlay or Cast protocols; the specific protocol is dependent on the device. Ditto employs industry-standard encryption for each protocol to protect the shared content from one end to the other. Deleting the application ensures the user can’t “break in” to the display when others are using it. If a user continues to use an “old” copy of the Ditto application, they may not have the most recent connection information, such as an updated IP address. This can lead to failed screen-sharing connections and unnecessary frustration. Deleting the application ensures a user always has the latest connection information and settings configured by administrators. Each room added to Ditto has its own specific Ditto application. One application cannot be used to connect to multiple destinations. If a user were to keep multiple versions, confusion could arise about which application connects to which display. 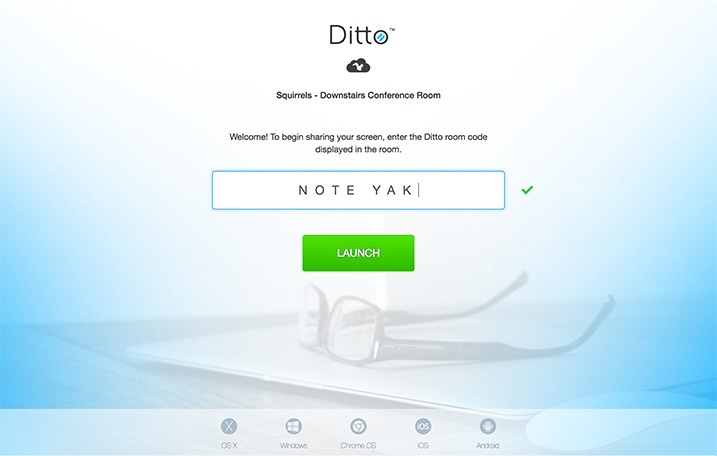 To begin sharing, a user needs to open the installed Ditto application and enter the room’s unique Ditto code. Upon opening, Ditto may check to see if an update is available for the application. If there is, users will be prompted to update the application. Updates to the Ditto application are signed and verified by Apple or Microsoft depending on the user’s operating system. Communication with the Ditto application and Ditto update servers happens over industry-standard SSL connections and are secure. When the user presses connect, Ditto servers will send down information about the receiver identified with the unique code entered. This information is displayed to the user and is not considered confidential. Ditto will also send connection information for the specified receiver that is not displayed to the user. The application is meant to allow anyone to mirror to a specified receiver. Users can NOT mirror to receivers that are on other networks or do not exist within your Ditto account. When mirroring, the video stream will be sent over AirPlay or Cast protocols; the specific protocol is dependent on the device. 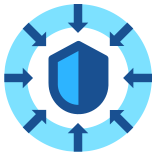 Ditto employs secure encryption for each protocol to protect the shared content from one end to the other. The application does not share end-user data with Ditto. However, the application does provide Ditto servers with updated network information that helps other users connect to the end receiver faster and reliably. This data helps us keep track of network changes that could adversely effect a user’s screen-sharing experience. For example, the Ditto application contains multiple ways to detect and connect to receivers. However, if a piece of this information changes without notice, Ditto users may not be able to connect in the future. By sending updated networking information each time a user connects to a receiver, all methods are kept up to date, and the risk of not being able to connect is drastically decreased. 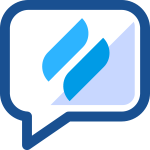 Unlike the web-connection method, the installed Ditto application is not deleted when sharing is finished. The application remains on the system for the user or other users to connect later. The system does not store a record or history of previously connected rooms. Ditto is part cloud-based and part downloaded application. Read more.